When you have a volunteer who can provide live spoken interpretation, spf.io will help you to distribute the translation so audience members can easily get translation on their own device–no headset equipment required! All an attendee needs is a smartphone and headphones. 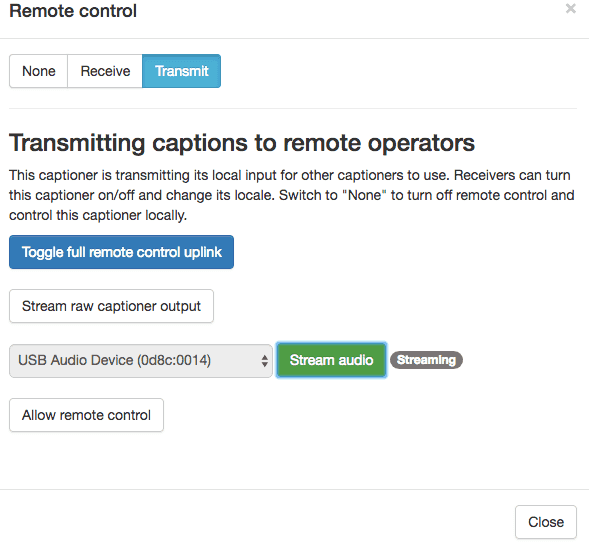 Follow these steps for the spf.io audio interpretation setup. 1. Set up your laptop with a microphone and reliable internet. To avoid wi-fi connectivity issues, this would ideally be a wired ethernet connection. However if that is not available you may use your cellphone as a mobile hotspot. 3. Open the Operator view of the session. 5. Click on the “Beta” button in the bottom left hand corner. 6. Click on the remote control icon. 8. Select your microphone input in the dropdown, then click on “Stream audio.” It should say “Streaming” within a few seconds. 9. Open the audio visualizer to confirm audio is coming through. 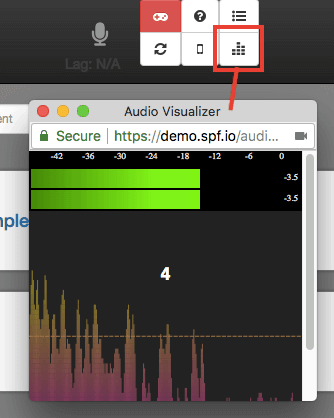 Speak into the microphone and see the visualizer respond to the audio feed. 10. Test to confirm the translation is accessible to the audience by visiting <yoururl>.spf.io/z on a smartphone. 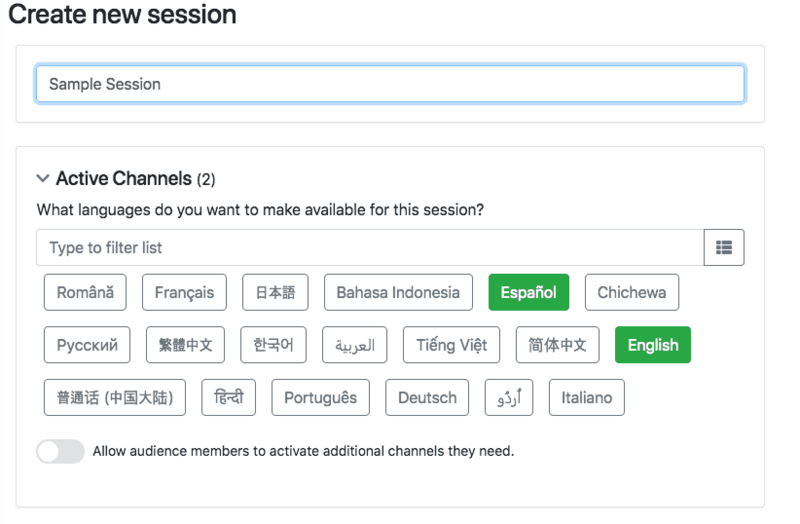 Select the language you are interpreting into and click on the audio icon to enable and hear the audio livestream come through. If you do not hear the audio coming through, check if the /z shortcut is pointing to the correct session. To do this in spf.io, click on “Sessions” in the menu and see the full list of sessions. 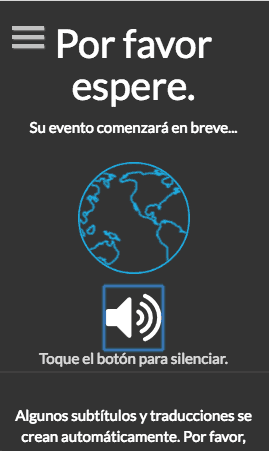 Next to the session you’ve created for your event, see if the pin icon is highlighted in blue or green. If it is not, click on the pin to point the /z URL shortcut to this session. 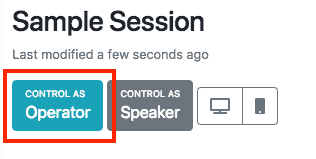 Once it is highlighted, re-enter the <yoururl>.spf.io/z URL on your smartphone and confirm it is pointing to your session. 11. Share the spf.io URL with attendees that need translation and show them how to get setup and listen to the audio interpretation. Then you’re ready to go with live spoken interpretation!